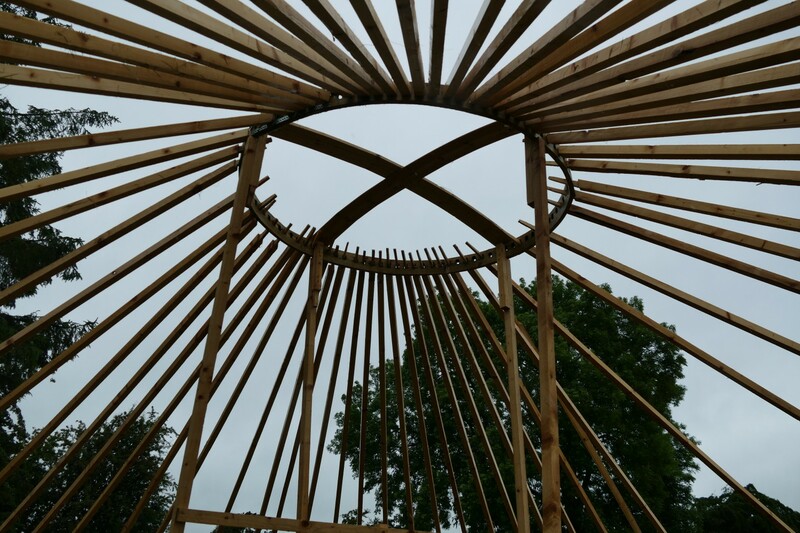 June 19th 2016, we gathered in a field in Wicklow to prepare for the first Constellations camp. To each other we were Friends, colleagues, co-facilitators, camp organisers and now site crew, and after months of careful planning we were ready. Building showers in driving rain, musically encouraged by Aidan’s endless repertoire, painting toilet doors in hot sun, joyfully assisted by little Aurora, seeing Liam’s glorious yurt come together and gratefully nourished by Tembre’s cooking, together we turned an empty field into a welcoming campsite. 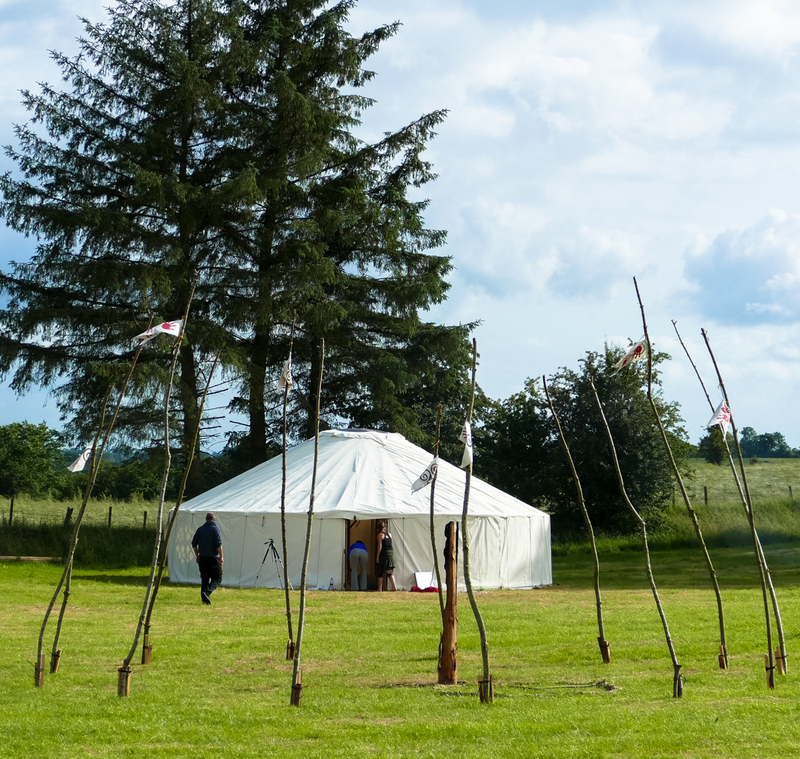 The opening ceremony was attended by all and as a group we welcomed in the four magical talismans of the Tuatha de Danann, the sword, spear, cauldron and stone of destiny placing them in the four corners of the field where they remained for the week, signifying our ancient forefathers holding the space and supporting the work. 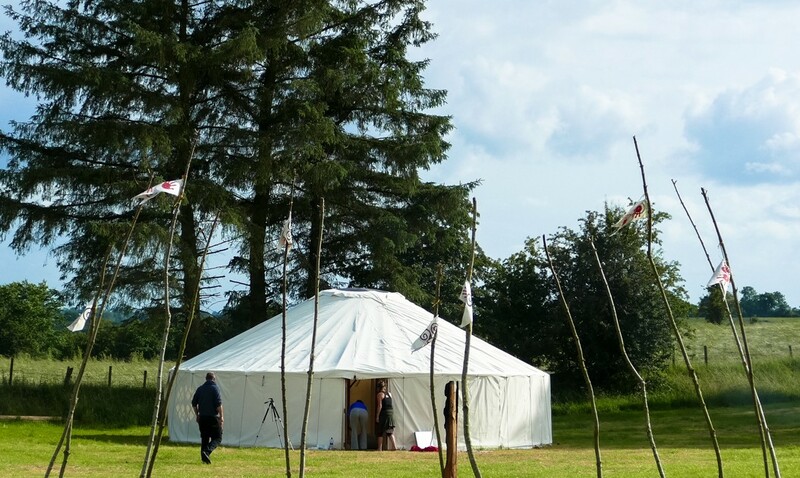 With Gabriella’s medicine wheel holding the centre, we had a safe space to proceed. 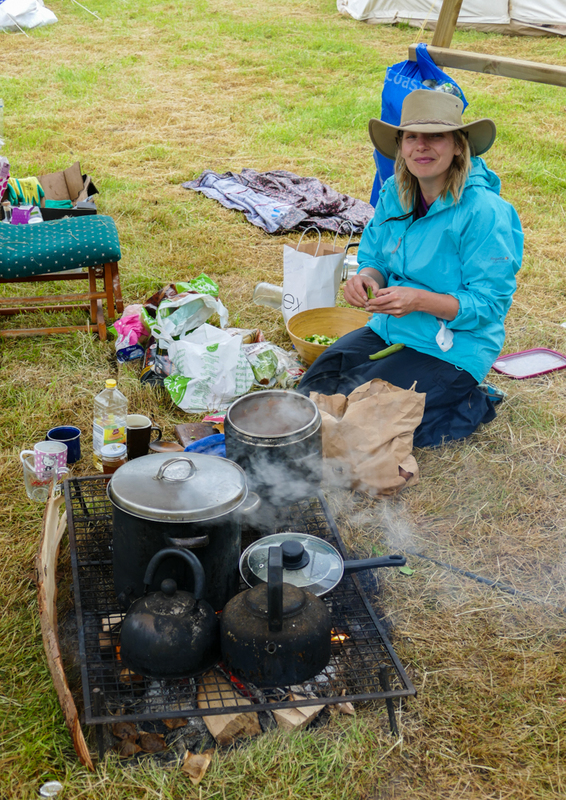 Mornings began with mindfulness meditation led by Lisa, and heartfelt Dance of Life with John, hot steaming showers, fireside breakfasts and for some a dip in the wonderful meandering river on the edge of the meadow. The first work of the day was a closed session led by Barbara. We had many powerful constellations throughout the week, with Barbara skilfully navigating hidden dynamics, tightly held secrets, and all the pain and joy of belonging to family. 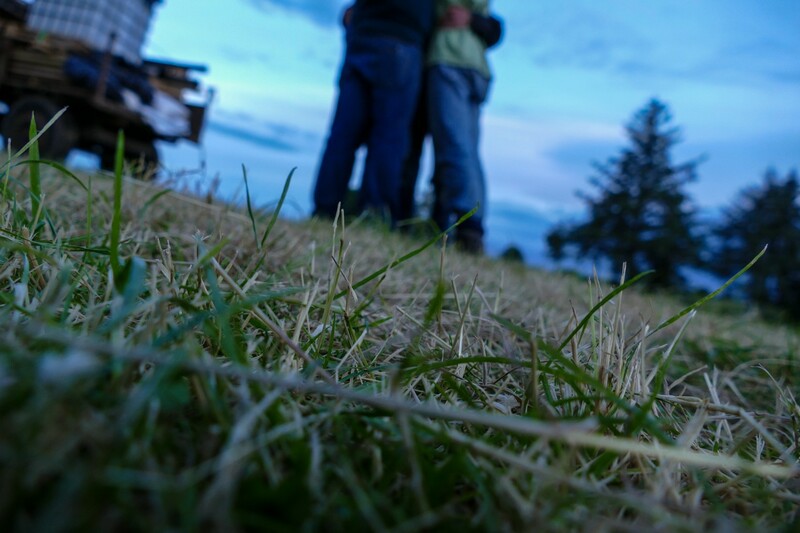 Slowly we came together as a group working in support of each other, holding difficult representations and witnessing and experiencing deep healing. After lunch there were offerings of a variety of constellation work led by the other facilitators; Johanne and Roisin did an afternoon on ritual and exercises, Gabriella and Liam McGabhann worked with nature constellations outside and inside the yurt, Dan used Franz Ruppert’s intention method and Liam Connolly led a personal constellation. 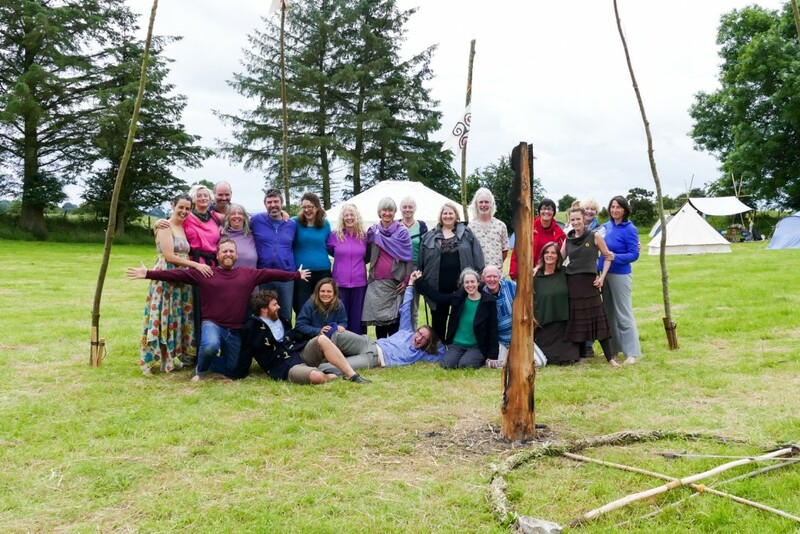 Apart from fireside chats, the evenings were taken up with other supportive activities; Roisin and Jo led a singing evening mid week which was a welcome light treat and for the other nights Liam McGabhann’s beautifully led sweat lodge was a highlight. Complemented by the harvest full moon and heated by the basalt rocks from a quarry nearby, we ritually sweated, sang, called in the ancestors and gently unwound. Living and cooking together in fireside community during this camp week greatly adds to the experience and everyone wholeheartedly embraced this model. Lots of stories were told over a cup of tea, tears were shed, chocolate was consumed and raucous laughter could be heard in the next village. 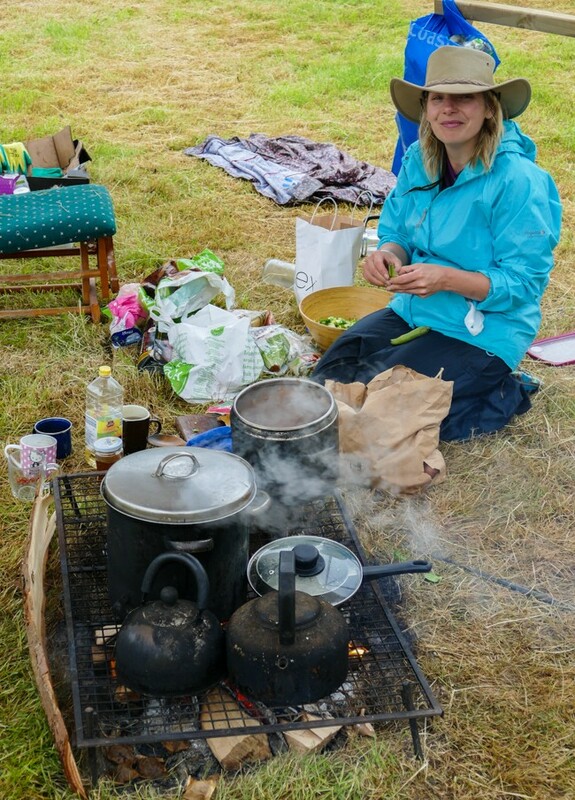 For me, the memory of what we created in a field in Wicklow in June will feed me forever, to have been there is to have lived spectacularly. The sun, the rain, the river, the land, the open hearts, the spontaneous hugs, the intimacy, the hilarity and the deep trauma revealed and acknowledged stay with me and are the wind under my wings.